These lists are for those peoples who want a good Android smartphone as cheap as possible as for gifting 🎁purposes or as your first smartphone. Don’t worry today in my post I am giving you a list of best mobile phones under 20000 in India. So without wasting a single second ⏳ of yours let’s start the countdown. Moto G5 Plus is the best mobile phones under 20000 in India made by Motorola a Lenovo company in this price range. Moto G5 Plus is easily available in the online store 🏪 like Flipkart, Amazon. It is an Android smartphone, it has some really good specifications. Moto G5 Plus comes with dual sim facility that means you can use two sims in one mobile. 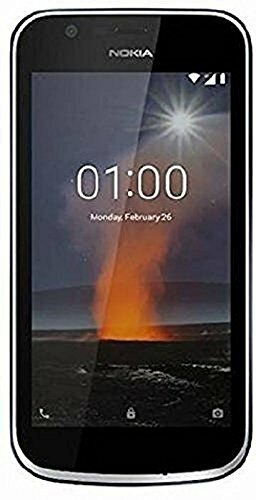 It has a screen size of 5.2 inches with a resolution of 1920 x 1080 pixels, it has a rear camera of 12 MP with flash and a front camera of 5 MP 📸. Moto G5 Plus runs on Android 7.0 Nougat. It is powered by 4 GB of RAM which is quite impressive in its performance with the help of 2 GHz Octa-core Snapdragon 625 processor. Its battery is of 3000 mAh 🔋. Moto G5 Plus comes with the internal storage of 32 GB and can be expanded up to 128 GB with the help of micro SD card. Apple iPhone SE is the best mobile phones under 20000 in India made by Apple company in this price range. Apple iPhone SE can be easily available in the online store 🏪 like Flipkart, Amazon. It is an iOS smartphone, it has some really good specifications. Apple iPhone SE comes with single sim facility that means you can use only single sim in one mobile. It has a screen size of 4.0 inches with a resolution of 640 x 1136 pixels, it has a rear camera of 12 MP and a front camera of 1.2 MP 📸. Apple iPhone SE runs on iOS 11. It is powered by 2 GB of RAM which is quite impressive in its performance with the help of 1.84 GHz dual-core Apple A9 processor. Its battery is of 1624 mAh 🔋. Apple iPhone SE comes with the internal storage of 32 GB and it cannot be expandable. Xiaomi Mi Max 2 is the best mobile phones under 20000 in India made by Xiaomi company in this price range. Xiaomi Mi Max 2 is easily available in the online store 🏪 like Flipkart, Amazon. It is an Android smartphone, it has some really good specifications. Xiaomi Mi Max 2 comes with dual sim facility that means you can use two sims in one mobile. It has a screen size of 6.44 inches with a resolution of 1920 x 1080 pixels, it has a rear camera of 12 MP and a front camera of 5 MP 📸. Xiaomi Mi Max 2 runs on Android 7.0 Nougat. It is powered by 4 GB of RAM which is quite impressive in its performance with the help of 2 GHz Octa Core Snapdragon 625 processor. Its battery is of 5300 mAh 🔋. Xiaomi Mi Max 2 comes with the internal storage of 64 GB and can be expandable up to 128 GB with the help of micro SD card. Huawei Honor 7x is the best mobile phones under 20000 in India made by Huawei company in this price range. Huawei Honor 7x is easily available in the online store 🏪 like Flipkart, Amazon. It is an Android smartphone, it has some really good specifications. Huawei Honor 7x comes with dual sim facility that means you can use two sims on one mobile. It has a screen size of 5.93 inches with a resolution of 1080 x 2160 pixels, it has a dual rear camera of 16 MP + 2 MP and a front camera of 8 MP 📸. Huawei Honor 7x runs on Android 7.0 Nougat. It is powered by 4 GB of RAM which is quite impressive in its performance with the help of 2.36 GHz octa-core Kirin 659 processor. Its battery is of 3340 mAh 🔋. Huawei Honor 7x comes with the internal storage of 64 GB and can be expanded up to 128 GB with the help of micro SD card. Moto G6 is the best mobile phones under 20000 in India made by Moto company in this price range. Moto G6 can be easily available in the online store 🏪 like Flipkart, Amazon. It is an Android smartphone, it has some really good specifications. Moto G6 comes with dual sim facility that means you can use two sims in one mobile. It has a screen size of 5.7 inches with a resolution of 1080 x 2160 pixels, it has a rear camera of 12 MP and a front camera of 16 MP 📸. Moto G6 runs on 8.0 Oreo. It is powered by 4 GB of RAM which is quite impressive in its performance with the help of 1.8 GHz Octa core snapdragon 450 processor. Its battery is of 3000 mAh 🔋. Moto G6 comes with the internal storage of 64 GB and it can be expandable up to 128 GB. Moto Z2 Play is the best mobile phones under 20000 in India made by Moto company in this price range. Moto Z2 Play can be easily available in the online store 🏪 like Flipkart, Amazon. It is an Android smartphone, it has some really good specifications. Moto Z2 Play comes with dual sim facility that means you can use two sims in one mobile. It has a screen size of 5.5 inches with a resolution of 1080 x 1980 pixels, it has a rear camera of 12 MP and a front camera of 5 MP 📸. Moto Z2 Play runs on 7.1.1 Nougat. It is powered by 4 GB of RAM which is quite impressive in its performance with the help of 2.2 GHz Octa-core snapdragon 626 processor. Its battery is of 3000 mAh 🔋. Moto Z2 Play comes with the internal storage of 64 GB and it can be expandable up to 256 GB. 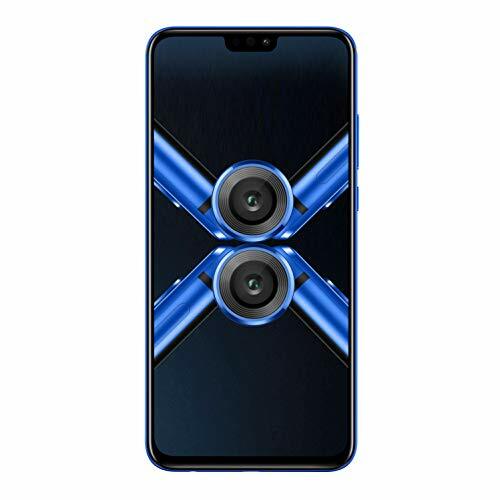 Vivo V9 Youth is the best mobile phones under 20000 in India made by Vivo company in this price range. Vivo V9 Youth can be easily available in the online store 🏪 like Flipkart, Amazon. It is an Android smartphone, it has some really good specifications. Vivo V9 Youth comes with dual sim facility that means you can use two sims in one mobile. It has a screen size of 6.3 inches with a resolution of 1080 x 2280 pixels, it has a dual rear camera of 16 MP + 2 MP and a front camera of 16 MP 📸. Vivo V9 Youth runs on 8.1 Oreo. It is powered by 4 GB of RAM which is quite impressive in its performance with the help of 1.8 GHz Octa core Snapdragon 450 processor. Its battery is of 3260 mAh 🔋. Vivo V9 Youth comes with the internal storage of 32 GB and it can be expandable up to 256 GB. Huawei Honor 9i is the best mobile phones under 20000 in India made by Huawei company in this price range. Huawei Honor 9i can be easily available in the online store 🏪 like Flipkart, Amazon. It is an Android smartphone, it has some really good specifications. Huawei Honor 9i comes with dual sim facility that means you can use two sims in one mobile. It has a screen size of 5.9 inches with a resolution of 1080 x 2160 pixels, it has a dual rear camera of 16 MP + 2 MP and a dual front camera of 13 MP + 2 MP 📸. Huawei Honor 9i runs on 7.0 Nougat. It is powered by 4 GB of RAM which is quite impressive in its performance with the help of 2.36 GHz Octa-core Huawei Kirin 659 processor. Its battery is of 3340 mAh 🔋. Huawei Honor 9i comes with the internal storage of 64 GB and it can be expandable up to 128 GB. 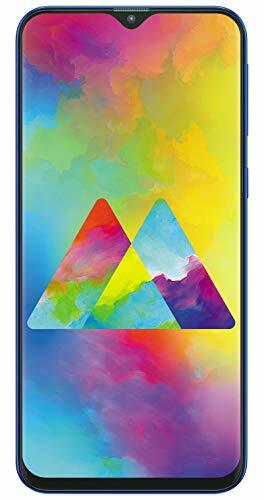 Huawei P20 Lite is the best mobile phones under 20000 in India made by Huawei company in this price range. Huawei P20 Lite can be easily available in the online store 🏪 like Flipkart, Amazon. It is an Android smartphone, it has some really good specifications. Huawei P20 Lite comes with dual sim facility that means you can use two sims in one mobile. It has a screen size of 5.84 inches with a resolution of 1080 x 2280 pixels, it has a rear camera of 16 MP and a front camera of 24 MP 📸. Huawei P20 Lite runs on 8.0 Oreo. It is powered by 4 GB of RAM which is quite impressive in its performance with the help of 2.36 GHz Octa-core Kirin 659 processor. Its battery is of 3000 mAh 🔋. Huawei P20 Lite comes with the internal storage of 64 GB and it can be expandable up to 256 GB. Nokia 6.1 is the best mobile phones under 20000 in India made by Nokia company in this price range. Nokia 6.1 can be easily available in the online store 🏪 like Flipkart, Amazon. It is an Android smartphone, it has some really good specifications. Nokia 6.1 comes with dual sim facility that means you can use two sims in one mobile. It has a screen size of 5.5 inches with a resolution of 1080 x 1920 pixels, it has a rear camera of 16 MP and a front camera of 8 MP 📸. Nokia 6.1 runs on 8.1 Oreo. It is powered by 4 GB of RAM which is quite impressive in its performance with the help of 2.2 GHz Octa core snapdragon 630 processor. Its battery is of 3000 mAh 🔋. Nokia 6.1 comes with the internal storage of 64 GB and it can be expandable up to 256 GB. 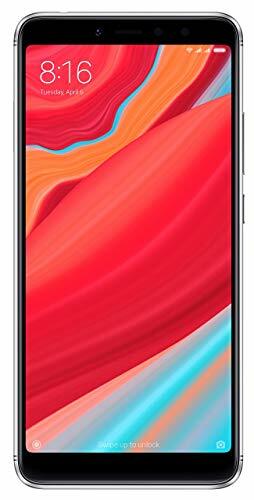 Asus Zenfone Max Pro M1 is the best mobile phones under 20000 in India made by Asus company in this price range. Asus Zenfone Max Pro M1 is easily available in the online store 🏪 like Flipkart or Amazon. It is an Android smartphone, it has some really good specifications. It is powered by 4 GB of RAM which is quite impressive in its performance with the help of 1.8 GHz Octa-core Qualcomm Snapdragon 636 processor. Its battery is of 5000 mAh 🔋. Asus Zenfone Max Pro M1 comes with the internal storage of 64 GB and can be expandable up to 2 TB with the help of micro SD card. Xiaomi Redmi Note 5 Pro is the best mobile phones under 20000 in India made by Xiaomi company in this price range. Xiaomi Redmi Note 5 Pro can be easily available in the online store 🏪 like Flipkart, Amazon. It is an Android smartphone, it has some really good specifications. Xiaomi Redmi Note 5 Pro comes with dual sim facility that means you can use two sims in one mobile. It has a screen size of 5.99 inches with a resolution of 1080 x 2160 pixels, it has a rear camera of 12 MP and a front camera of 20 MP 📸. Xiaomi Redmi Note 5 Pro runs on 7.1.1 Nougat. It is powered by 6 GB of RAM which is quite impressive in its performance with the help of 1.8 GHz Octa core snapdragon 636 processor. Its battery is of 4000 mAh 🔋. Xiaomi Redmi Note 5 Pro comes with the internal storage of 64 GB and it can be expandable up to 128 GB.